Torrevieja and Orihuela are located in the Costa Blanca, an area of the Spanish coast that belongs to the province of Alicante. This coastline is 200 kilometres long and offers wonderful beaches and beauty spots. Tha watter is warm and clear and has palm trees and parks that really worth a visit. 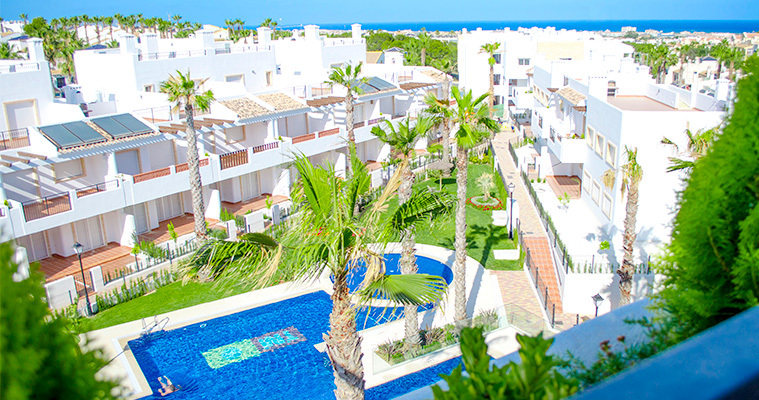 The name “Costa Blanca” is due to the contrast with the deep blue of the Mediterranean Sea. Large white surfaces, whether its beaches, clear rocky hills or villages with whitewashed houses. On this coast the golden sandy beaches alternate with small coves of boulders, gravel or rock. 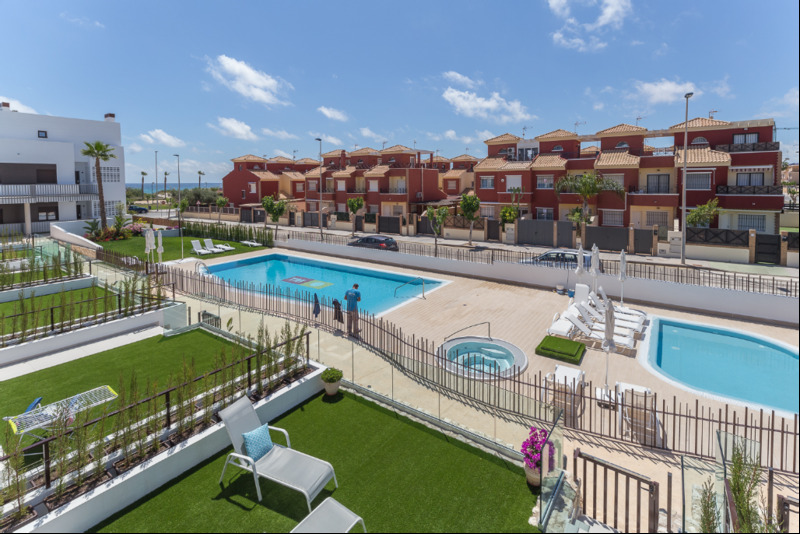 Climate in these locations is really nice, which offers over 300 days of sunshine a year and an average annual temperature of 17° C.
Torrevieja gives spectacular landscapes. 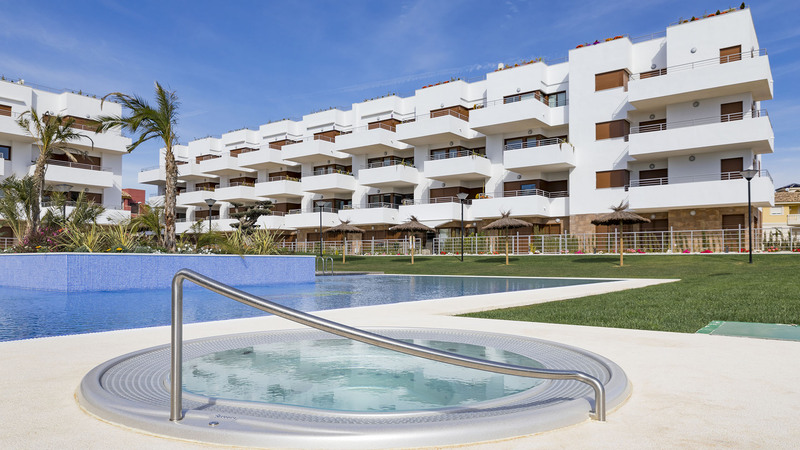 This coastal town is located in an area of ​​high landscape and ecological value bordering the Mediterranean and along the lakes of La Mata and Torrevieja. It has a total of 14 km of coastline with many beaches and coves. The Natural Park of Lagunas de la Mata and Torrevieja conforms the known landscape of the Salinas, one of the most important wetlands of the Comunidad Valenciana and one of the most important Salinas exploitations of Europe. Undoubtedly one of the flagship species of the natural environment is the protected flamenco, which reaches 2,000 specimens during the breeding season, but there is a high presence of many other birds. 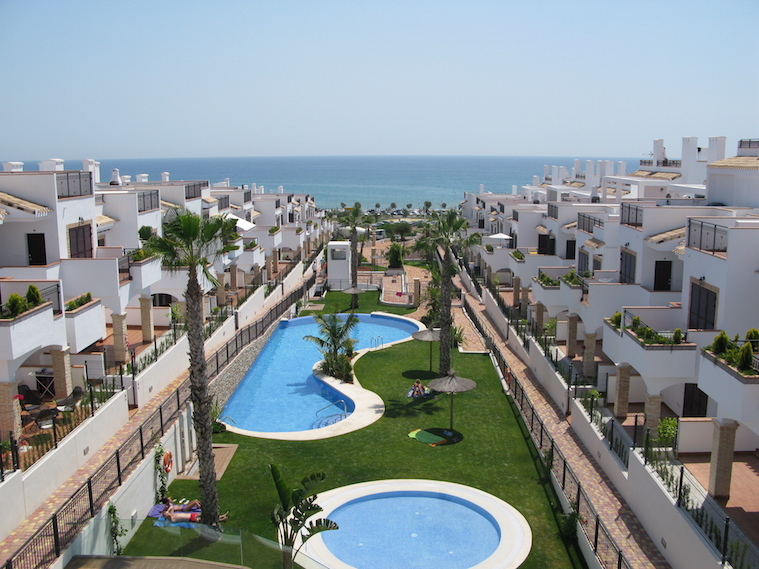 In the environment of this park is La Mata beach, the longest of Torrevieja. 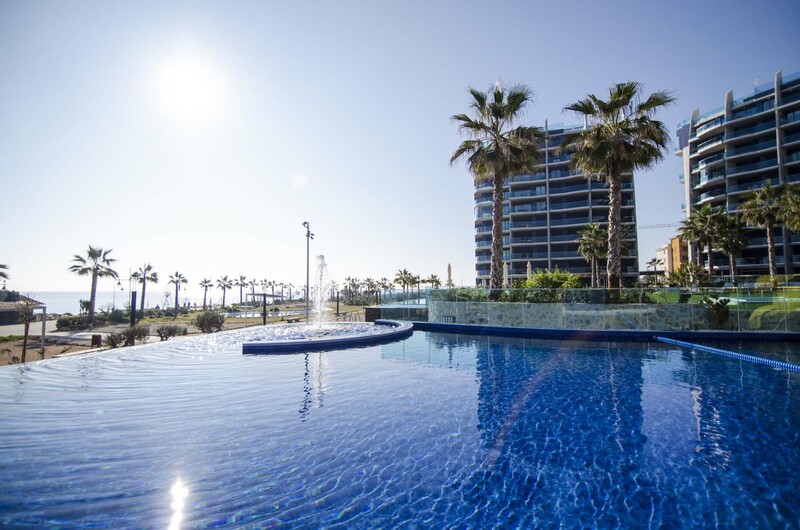 It has several accesses with a seafront promenade with bars and restaurants. There visitors can find fine sands, recreational games, surveillance, information booth, flags showing the sea state and access for disabled people. A little further south, we find the Cabo Cervera and Playa Cabo Cervera. Here visitors can enjoy a viewpoint of 23,000 square meters, with an old Tower, Del Moro Tower, where there is a spectacular panoramic view encompassing the entire coast from the Menor Sea in the south to the Cape of Santa Pola, in the north, with the Tabarca Island in the front. Another interesting stop are the Dunes in the Natural Water Mill Park, a natural area with more than 17 hectares, in which different fossil dunes and an underground full with tunnels that, until quite recently, were established as an important aquifer for the parish of La Mata. A natural area next to the sea, allowing you to enjoy peaceful and fascinating walks through pine forests and dunes. Fort the golf lovers there are several golf courses in which you can practice this sport: Villamartin, Las Ramblas, La Marquesa, Campoamor and La Finca, among others. The city of Orihuela highlights, among several things, for its cultural and natural heritage, especially its old town (declared historical-artistic) for their festivities, including Holy Week (declared of international tourist interest) and beaches. Oriolana cuisine is mainly made with products from its numerous gardens, which are situated around the river Segura. Its main traditional dishes are cooked with balls, turkey stew, chicken fricassee, the orchard paella, stew beans, the country tortillas, chopped wheat crumbs with chocolate, melon and grapes. Its coast is a tourist destination and yet still preservs important virgin enclaves as the Cala de la Mosca, Escalona Mountains and many ravines of great interest. Highlights the Dehesa de Campoamor and the Pine Forest. Its nature makes it an ideal place for hiking through various routes. The beaches of Orihuela are highlighted for its crystal clear waters, which have won numerous certificates. Some of its beaches get the blue flags of the cleanest seas in Europe every year or the Qualitur flag which is granted by the Ministry of Tourism of the Generalitat Valenciana. Cabo Roig Beach (Captain Cove). Cabo Roig Beach (Caleta Beach). Campoamor Beach (Aguamarina and La Glea). Flamenca Beach (Estaca and Mosca coves). Orihuela also has excellent golf courses internationally renowned and one of the most important golf deals in the Mediterranean. A total of 90 holes conform five excellent golf courses, home of major European tournaments. Design and varied topography of each field give you the option to choose the layout that best suits your game. You can choose to play on a level field with rolling hills and open in another where the route is a succession of striking holes, or the difficulty and irrigation which requires you to stay focused on every shot. Fields include Desert Springs and Aguilón Golf.